"Square Zombies" is an arcade game suitable for both adults and children of all ages. This masterpiece in arkanoid genre will help you to test you reflexes and pass the time. 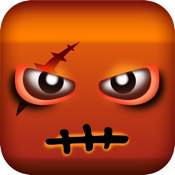 Use your head (figuratively and literally) to stop hordes of itty bitty square zombies. ☃ Try a new game this winter! ✭ Free to play - yay!